Canada should be concerned about companies moving to the United States and “taking jobs with them” as the protectionist Trump administration enters its second year in office, according to a prominent member of Ottawa’s NAFTA advisory panel. Canada finds itself in a tough place. It’s a relatively small economy that’s heavily dependent on trade, and Donald Trump is at the helm of its largest trading partner. “The continued uncertainty that hangs over North America during the renegotiation, and Trump’s consistent threat to pull out of the agreement, disproportionately affects Canada,” Rona Ambrose, advisory panel member and former interim leader of the Conservative Party of Canada, told BNN in an email. One of Bay Street’s most prominent economists, David Rosenberg of Gluskin Sheff + Associates, says there are three major issues facing Canada during Trump’s second year in office. 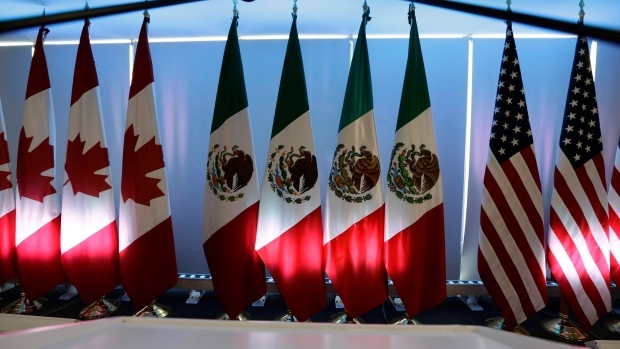 If Trump makes good on his often-repeated threat to tear up the pact between the U.S., Canada and Mexico, a bilateral trade deal with the Americans could become Plan B for Canada. One place trade observers have been placing their hopes is Congress. The thinking is a withdrawal from NAFTA would require the approval of the legislative body. At least that’s how some U.S. constitutional scholars view the legal framework governing the trade pact. Ottawa has been talking with those Capitol Hill lawmakers and there appears to be many sympathetic ears that agree a withdrawal from NAFTA would also harm U.S. industry. 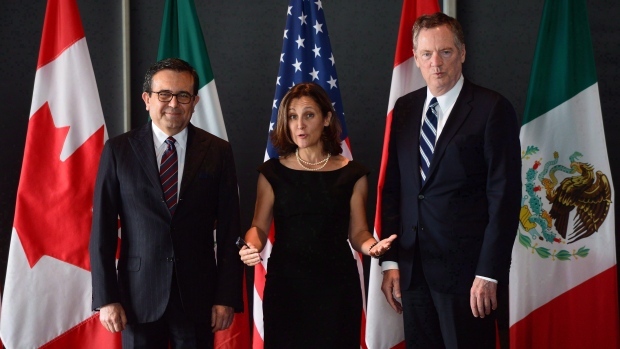 But politics is a tricky thing, and a former U.S. ambassador to Canada told BNN there’s a widespread belief among Americans the trade pact is a job killer – making NAFTA a “toxic term” south of the border. While politicians say they understand the benefits, “they also understand the term NAFTA, in and of itself, is a toxic term politically,” Bruce Heyman, who served as ambassador under U.S. President Barack Obama, said in an interview. 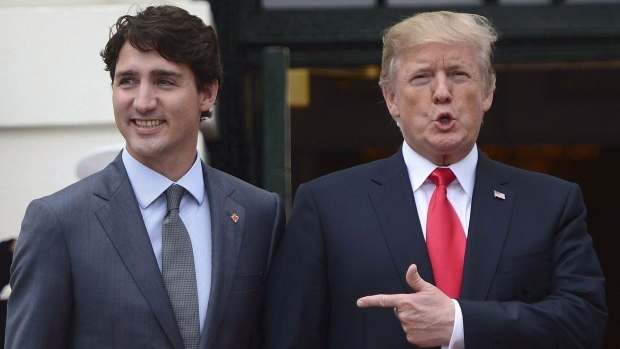 While Trump has sounded more conciliatory on NAFTA in recent days, “as in year one, with Trump there are always surprises,” Christopher Sands, director at the Center for Canadian Studies at Johns Hopkins University, told BNN in an email. “The stakes in this year are very high for Canada,” said Sands. Adding to tensions, Ottawa has launched a wide-ranging trade complaint against the Americans before the World Trade Organization. The challenge “could lead to worsening trade relations and an escalating series of U.S. trade actions against Canada,” said Sands. Another wild card could be the Mexican election in July. While the vote buys time for NAFTA talks, there’s a risk anti-Trump sentiment could loom large as Mexicans go to the polls. Canada, by Ambrose’s estimation, has done a good job navigating the Trump administration so far. Lang: Economy may be stronger than ever, so why aren't rates rising faster?